Our vision for Backendless Platform is a system that lets anyone run Backendless-powered apps on any device while the backend can be hosted in any environment. The Standalone Backendless is a special packaging of the platform you can install on your own servers. The best part of it is that you can run Standalone Backendless on a single server without incurring any licensing fees, that’s right, single server/VM mode is free. Initially we packaged Standalone Backendless for Linux and Mac OS X environments, as well as virtual machines for Amazon Web Services, Digital Ocean, VMWare vCloud Air, Google Cloud and Oracle Cloud Platforms. One of the missing pieces was Windows. And it is no more. Starting today you can install the Backendless Platform on a Windows workstation/server and get the entire stack of the Standalone Backendless distribution. This is very exciting for us and I am sure many of you will take advantage of the fantastic opportunities Backendless will bring for your apps. 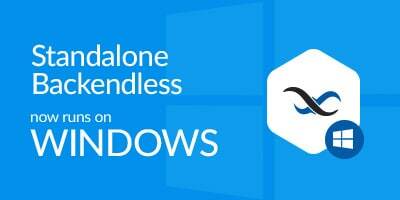 To get started, head on to the Backendless Downloads section on our website and download the Standalone Backendless for Windows installer. We are happy to announce availability of Backendless installers for the Standalone Edition build. 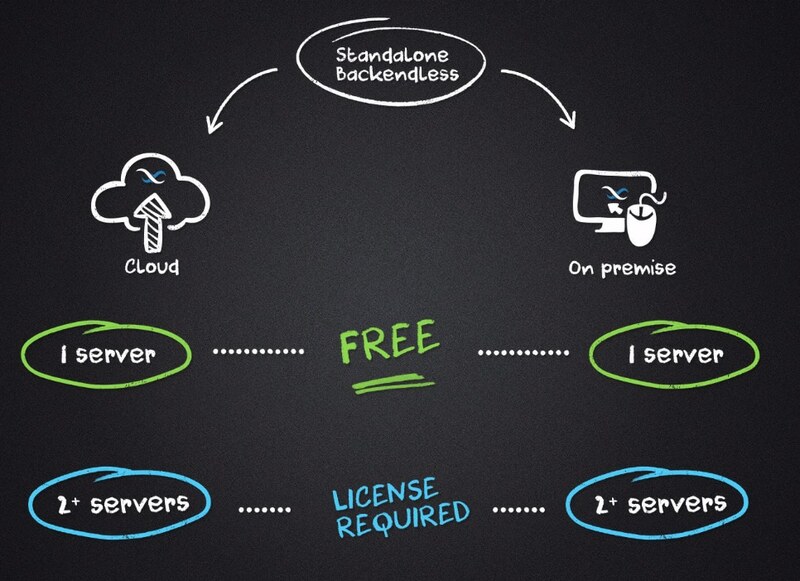 Standalone Backendless is an installation of the product which runs on your own servers, either on-premises or in the cloud. The product comes with a free license for development and production purposes so long that the entire installation runs on the same computer or virtual machine. The product can be easily configured to scale out and include additional instances. In that case a commercial license is required. You can find the download link on the Backendless Downloads page on our site.